Common Jack is a singer songwriter based out of Brooklyn, New York. He recently released his latest single Viñales, off his impending EP Canyons in the Dark. His sound has remnants of folk, pop, and singer-songwriter, with hints of electro. There’s also a soft and deep twang that lingers throughout the entire song. Artists that come to mind include Jason Mraz, James Morrison, Colbie Caillet, Erik Hutchinson, Andrew Bird, Bret Dennen, Parachute, and Amos Lee. Ethereal and effervescent, the instrumentation leaves ample space to find yourself falling into the abyss. 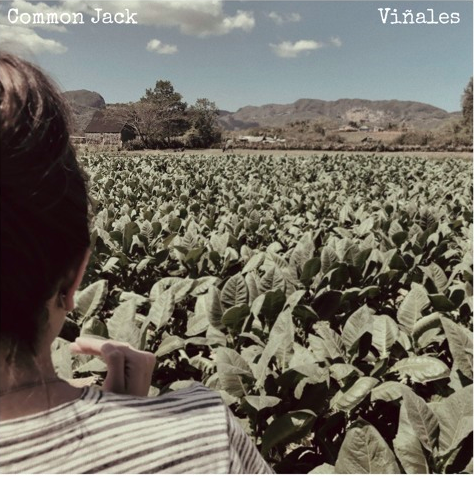 Common Jack has a smooth and enticing voice. His timbre holds something nostalgic and familiar. It is similar to Benjamin Gibbard from The Postal Service. Yet there is something else in his timbre that reminds me of Danny O’Donoghue from The Script. Subtle inflections on the end of phrases, combined with his unique vibrato, and gifted lyrical delivery lead to an uncanny and delectable song. Beautiful lyrics and harmonies are sung by a woman adding layers upon layers. It feels as if you’re placed on the beach watching tides, or driving in a car with beautiful scenery everywhere. Common Jack’s song takes you on a beautiful journey. So nice, my only complaint is I wish it was longer! But that is simply indicative of just how great a song it is. I recommend this as your next Winter download. Get in the vibes. Learn more about Common Jack on his website. Also follow him on Instagram, Twitter, & Facebook. Listen to more music on Soundcloud, Bandcamp, and Spotify.